Congratulations and thank you for purchasing the Lexicon. IO FW810S! With a wealth of features – including dbx. high-voltage, ultra low noise mic pre’s, Pantheon II reverbs, and a powerful hardware mixing board with dbx dynamics and hardware monitor reverb – the Lexicon IO FW810S is more than just an 10-in, 12-out FireWireTM audio interface. It’s a pro recording studio contained in a single rack unit. Featuring newly designed dbx. 60V high-voltage, ultra-low noise microphone preamps on every channel, the IO FW810S is more than equipped to provide professional recordings that keep your music sounding its best. The preamps run on a 60V supply to guarantee stability and provide you with a superior recording across a wide dynamic range. Performance driven A/D - D/A converters ensure pristine 24bit/96kHz audio to capture every subtle detail of your performance. And the newly updated Pantheon II plugin provides smooth, lush Lexicon reverbs for creating ideal sonic spaces. With built-in dbx Type IVTM conversion, your digital recordings will preserve their dynamic range even when levels get too high. They’ll acquire that forgiving, oversaturated quality once only found on big analog recorders. Conversion actually gives you more headroom, capturing subtle details in higher level signals instead of hard clipping them. 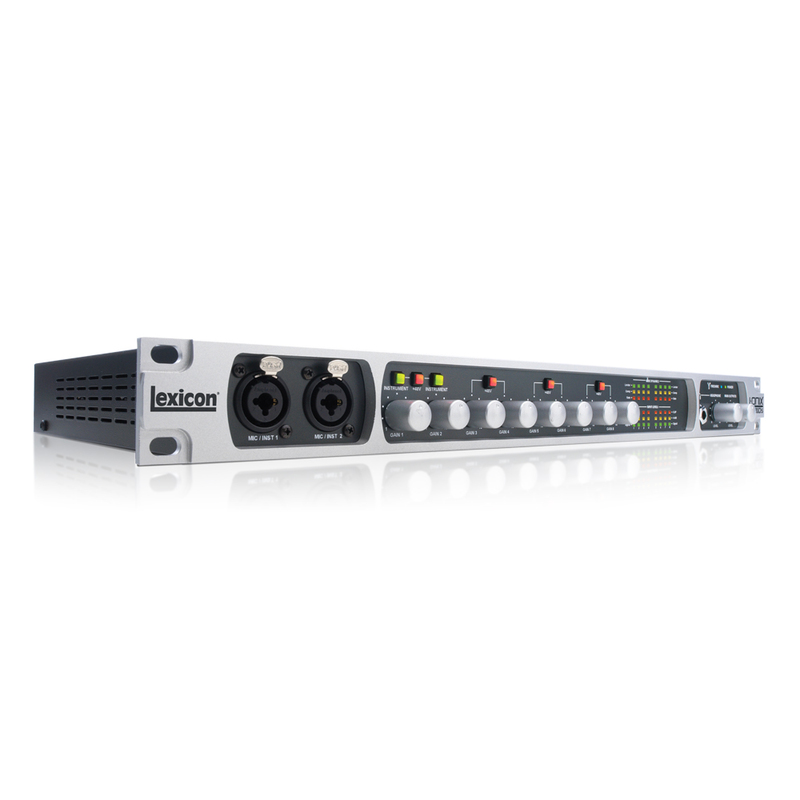 Plus, the Lexicon IO FW810S adds onboard dbx processing (compressor, gate, limiter, and EQ) to the front end of your digital audio workstation along with a powerful hardware Mixer. The Mixer’s true-to-life interface design feels familiar from the second you start using it, making it easy to adjust levels and route signals. The mixer allows you to save and load snapshots of mixer settings, and store your own power-on default snapshot; and with it’s 12 outputs you can create up to five unique monitor mixes or mix 7.1 surround projects. When you apply the onboard dbx processing and Lexicon monitoring reverb to your input signals, the IO FW810S does the processing in real-time without taxing your CPU. With so many powerful and useful recording studio tools, it’s more than just a FireWire interface. It’s the Lexicon IO FW810S.